I stumbled upon one of the most innovative online contests recently. It is a reality contest that is running on GoFish.com for fourteen weeks. I was actually watching Free videos at GoFish.com which led to my discovery of this contest, which is called “Seduce A Celeb”. The winner of the contest will get to date the celebrity and she is the ever so hot Mirelly Taylor. I am sure you would have seen her on movies like “Kiss Me Again” and “Serving Sara” and TV shows “Las Vegas”, “Punk’d”, and “Numb3rs”. So how does one stand to win a once in a lifetime chance of dating a celebrity? Mirelly Taylor has made three videos giving participants three calls-to-action and participants will have to submit videos of themselves answering those calls. Participants have to outdo each other and of course they have to be outrageously creative and funny to even stand a chance! And the more videos submitted the better chances of winning, of course. Virtually everyone can participate by submitting their videos and try to score a date with Mirelly, as long as he is a member of GoFish.com and residing in the United States. If you are not a member yet, register NOW and get that video camera out! This is a really interesting contest. I wonder who will be the next celebrity in their line-up. Could it be Jennifer Aniston? 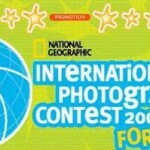 This entry was posted in Contests and tagged celebrity, online contes, online reality contest, reality contest, Seduce A Celeb on May 20, 2007 by Cyberpartygal.